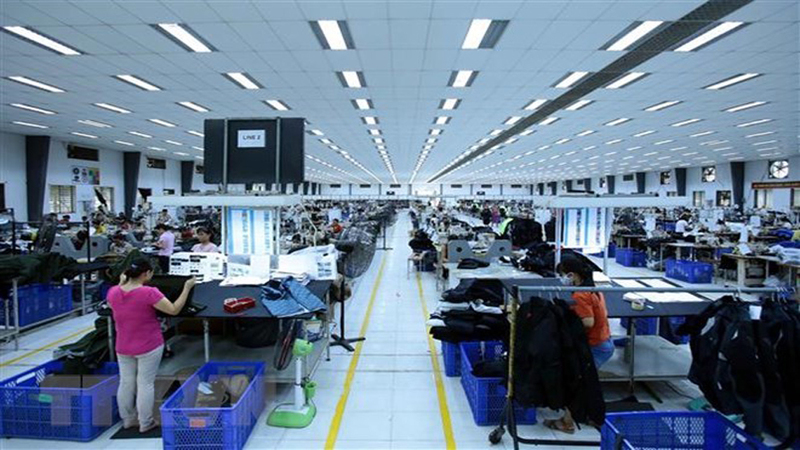 Vietnam would increase its export turnover if the country knows how to optimize advantages generated by free trade agreements (FTAs) it has signed, said Trinh Thi Thu Hien, head of the product origin bureau under the Ministry of Industry and Trade (MoIT)’s Export-Import Department. The country’s export to the Association of Southeast Asian Nations (ASEAN) exceeded 21 billion USD last year, while that to China hit nearly 36 billion USD and to Japan was close to 17 billion USD. The Republic of Korea (RoK), Australia and New Zealand also remained big markets for Vietnamese products. Hien added that the numbers are expected to be higher in 2019 when the Regional Comprehensive Economic Partnership (RCEP), the Comprehensive and Progressive Agreement for Trans-Pacific Partnership (CPTPP) and trade deals with the EU and the US are approved. According to Huynh Van Hanh, Vice President of the Handicraft and Wood Industry Association of Ho Chi Minh City, the wood sector earned 9.3 billion USD from exports last year, surpassing the set target of 9 billion USD, with a trade surplus of 7 billion USD, the highest as compared with other industries. The US and the EU remained the most potential markets for Vietnamese wood processors, but in fact, domestic businesses met only 1 percent of consumption demand in these markets. Many firms said the US was still a key market as among 29 products with export value exceeding 1 billion USD in 2018, ten were shipped to the US. Experts stressed that it is necessary to identify markets for each group of goods, saying China, the EU, the US, ASEAN, Japan and the RoK, in order, should be the major destinations for Vietnamese farm produce and seafood. Meanwhile, the US, the EU, China, Japan and the RoK will be the main markets of Vietnamese industrial products. They also suggested domestic enterprises expand export markets, especially to countries that have committed to cutting tariffs under FTAs they have signed with Vietnam. Experts, however, warned that local businesses are facing a range of technical barriers when approaching the foreign markets. Vu Thi Kim Hanh, President of the Vietnamese High Quality Product Business Association, said Vietnamese agricultural products should meet GlobalGap standards in order to integrate deeper into the global supply chain. Also, garment-textile businesses need to change their production process to ensure safety for consumers, save natural resources and energy, and minimize waste, she added. Besides, reducing barriers at home, especially those regarding administrative procedures on business conditions, would help promote exports and improve the competitiveness of domestic firms, said Tran Dinh Thien from the Vietnam Institute of Economics. He suggested competent agencies promote their role in assisting businesses to grasp new technical barriers in the world market, thus helping them change production plans and processes and ease risks in export. In the first ten months of 2018, the number of Vietnamese workers abroad reached over 116,000 people, equal to 106.07% of the year plan. Vietnam's total agricultural exports are ranked 15th in the world and its agricultural products are available in 180 countries and territories worldwide, even penetrating multiple fastidious markets.